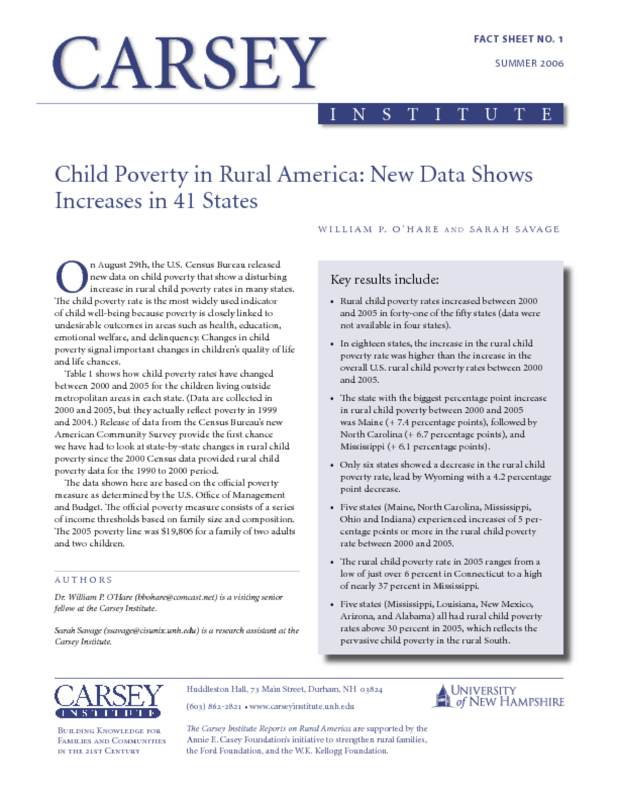 On August 29th, the U.S. Census Bureau released new data on child poverty that show a disturbing increase in rural child poverty rates in many states. The child poverty rate is the most widely used indicator of child well-being because poverty is closely linked to undesirable outcomes in areas such as health, education, emotional welfare, and delinquency. Changes in child poverty signal important changes in children's quality of life and life chances.